Eerbeekseweg 6, 6971 Brummen, Países Bajos. Once, baron Schimmelpennick van der Oye used to taste his wines in the Mediaeval wine cellar of Kasteel Engelenburg. Today, you too can raise your glass under a starry sky in the 19th century conservatory restaurant. Wake up and continue dreaming in the luxurious colonial rooms of the orangery - in a word, you're a guest at Engelenburg castle. The hotel - estate - castle are located in Brummen, Gelderland, near Arnhem, Apeldoorn and Zutphen, in the beautiful region of the Veluwe. Engelenburg castle is not just any hotel, it offers weekend packages, a golf course, conference activities and it's also a romantic location for a wedding. Free open air parking at the hotel, Reservación obligatorio. Bosque, Proximidad a la estación, Parque, Campo. Mas de 30 dias antes de la llegada : sin costes de cancelación. Menos de 30 dia(s) antes de la llegada: se debera abonar la reserva completa. Cama de bebé: supplemento de 12.50 € por cama adicional. The restaurant is located in the 19th century old closed veranda and is unique and beautiful located on the slotcanal with a view on the estate and the golf course. The restaurant has the ideal ambiance for a business meeting, or romantic dinner with candle lights because of her colonial and tropical atmosphere. Besides this we serve an informal lunch of the small lunch card in our bar from 12 until 5pm. 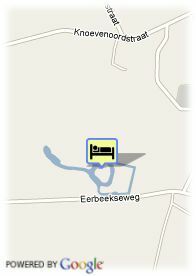 The estate 'Landgoed Engelenburg' is located in the centre of one of the most beautiful landscapes in The Netherlands. Guests can go biking and hiking along the 'Veluwezoom', the 'IJsselvallei' or take the ferry to the historic village of Bronkhorst, with 150 inhabitants the smallest town of The Netherlands. The historic hanseatic city of Zutphen is located at only 10 km from the hotel.